Tham Le Khao Kop : Trang, Thailand : A canal from the Banthat Mountain Range is divided into 3 waterways upon reaching Khao Kop, with 2 going around the mountain and the other flowing through the cave under the mountain. An amazing natural wonder, the main attraction at Khao Kop is this stream which flows through the cave. 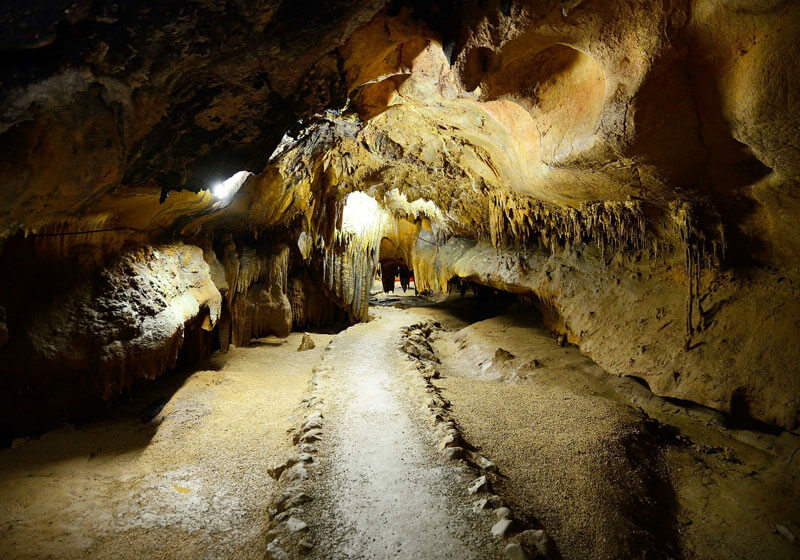 In addition, the cave itself looks like a high and steep cliff with layers of rocks and stalactites and stalagmites magnificently decorating the cave for a distance of approximately 4 kilometers. Currently, the Khao Kop Tambon Administration Organization provides rowboats to facilitated visitors explorations of the cave. In addition, eco-tourism and light-adventure activities are provided by the locals.